Highlands Creek Park is sure to be the focal point for The Aurora Highlands. With a nod to the true Colorado lifestyle, we are developing this open area to be a gathering place for all, no matter what you are interested in. At nearly 100 acres, our park will feature public art installations, performance plazas, climbing walls, a zip line, embankment slides, nature play and linear challenge courses as well as a kinetic sculpture garden and pollinator gardens. 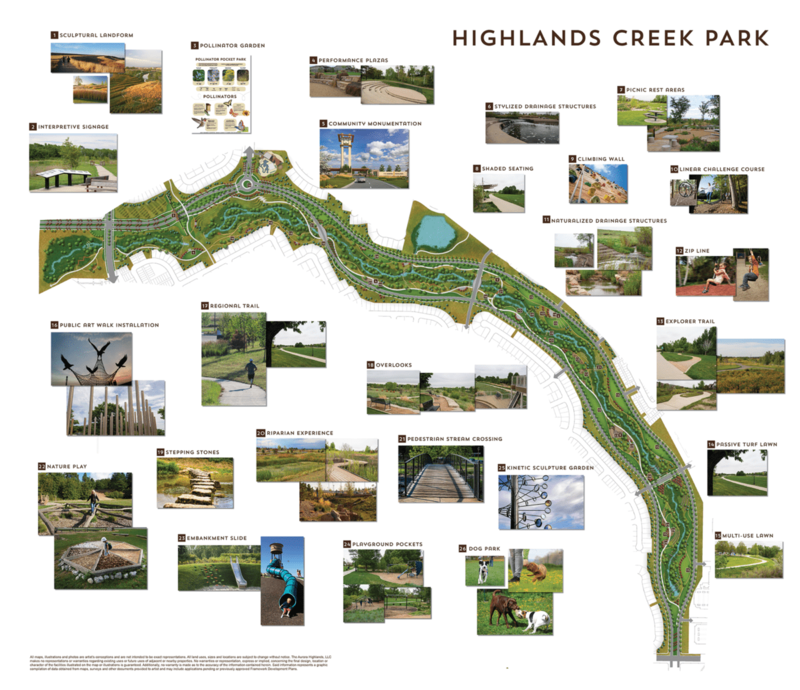 These are just some of the inspiration photos for the Highlands Creek Park. Click on the labels below to explore the many activities and features planned for the park. Or scroll down to the map with photos and zoom over any section.